I recently stumbled upon a rather interesting concept defined by Wolfgang Köhler in 1929. 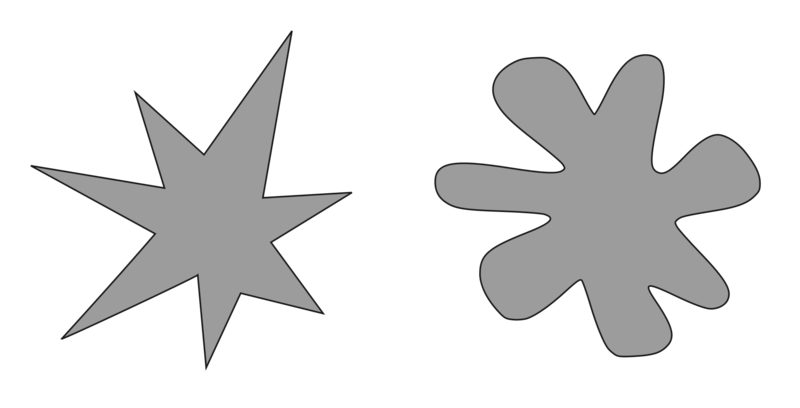 The bouba / kiki effect is based on an experiment whereby viewers are shown two shapes; one shape is curvy and cloud like and the other is jagged and angular. The view is then asked which of the two shapes should be called bouba and which should be called kiki. The results were very conclusive in that 95% to 98% of the people asked said the curvier shape should be called bouba. This result points towards the notion of a synesthesic type remapping of the senses where audio characteristics have an underlying link to visual characteristic. 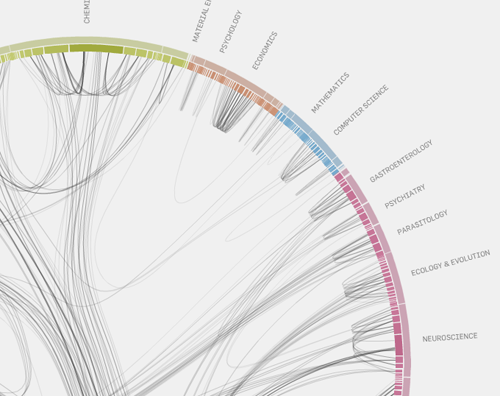 One of the nicest data visualisation projects I have come across in my research so far is Well-Formed.Eigenfactor.org designed by Moritz Stefaner using the AS3 framework Flare. Moritz has tapped into the massive database created by Eigenfactor.org and produced some very beautiful and intuitive Flash applications. The Flare toolkit is very comprehensive, versatile and capable of producing some very nice visuals I can’t wait to start playing with it. I found this watch for the visually impaired while stumbling through vast content found at neatorama.com. The watch was designed by Matthew Wagnerfield. The first thing that grabbed me about this watch is the beautiful craftsmanship; its well designed and well made. The second thing that really impressed me was that the watch can be read by the blind or visually impaired. The clock face is based around a standard 7 segment digital character display but instead of using light to communicate the message this watch uses mechanically animated segments to convey the time. The segments lower and raise by a difference of 1mm so the time can be both seen and touched.